Perfectly balanced dark chocolate offers a deeply indulgent premium chocolate experience. A delicate dark chocolate shell enrobes an irresistibly smooth dark chocolate center. 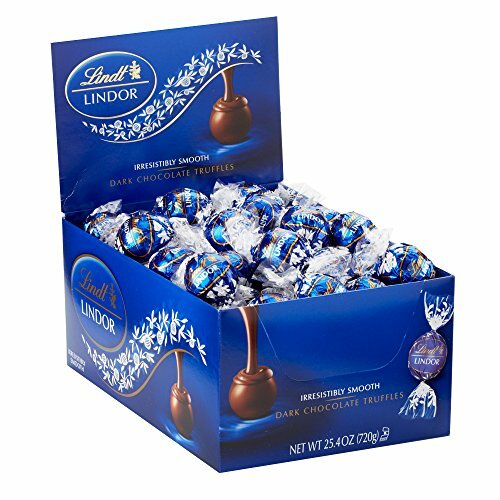 LINDOR Dark Chocolate, paired with a hot mug of coffee, offers a moment of everyday luxury that everyone deserves. Send a gift of these truffles to your favorite dark chocolate lover suggesting just this. Lindt chocolate embodies the passion and expert craftsmanship of its Lindt Master Swiss Chocolatiers. Lindt delivers a unique chocolate experience offering a distinctly smooth and rich, gourmet taste.